Your footwear should make you feel safe. You should feel comfortable and not be afraid to slip or fall. Furthermore, you might need your footwear to protect you from electrostatic discharge. MASCOT guides you to find the footwear suited for you. Footwear you spend most of your day in should be comfortable to wear while keeping you safe. MASCOT wants you to have the best working day possible, and therefore we observe and ask questions to understand your needs and to develop the right footwear for you. One of the major causes for slips, trips and falls within the workplace are incorrect use of safety footwear. According to the UK National Statistics, 2016, slips, trips or falls account for over 40% of workplace injuries. Some accidents could possibly be avoided with footwear specifically chosen for your position, holding the right properties and with a fit suited for you. The first step to enhanced safety is to decide whether you prefer a boot or a shoe. 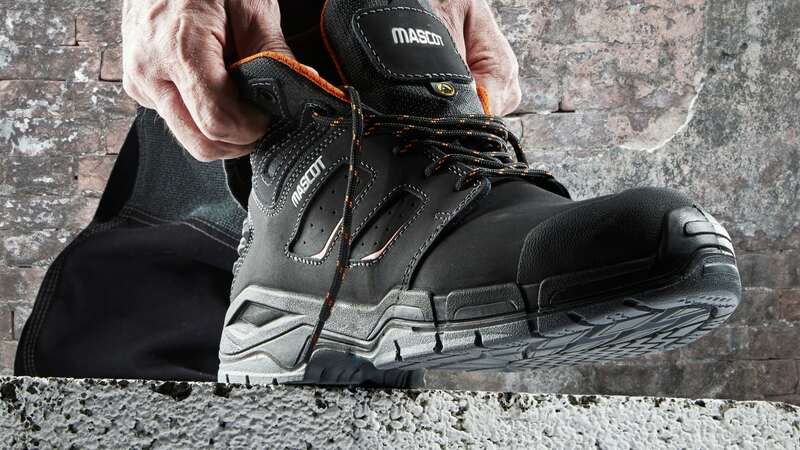 MASCOT® Rimo is a safety boot that gives you support and fits closely towards the heel. The sole is ultra-slip resistant and MASCOT’s stabilising patented multi-function shank makes the boot suitable even when working on uneven surfaces or ladders. If you prefer a shoe, MASCOT® Diran holds the same properties as MASCOT® Rimo.